Just Who The Hell Is Deathlok? For those of us whose patience was running very thin after eleven episodes in which next to nothing of significance seemed to happen - aside from your standard monster of the week nonsense, that is - the final scene of the twelfth episode of Marvel's Agents of S.H.I.E.L.D. was enough to bring us happily back into the fold. As poor Mike Peterson recovered from the surgical installation of cybernetic limbs to replace those lost in an explosion, the camera panned down to reveal "Project Deathlok" stamped on the side of his new leg. That's a big deal to longtime Marvel maniacs, especially those of us disappointed by the fact that J. August Richards, who plays Peterson/Deathlok, didn't end up being Luke Cage. With that reveal, the uneven show finally had something sorely lacking up to then: a tangible, significant connection to the Marvel universe. But those viewers not fully versed in Marvel's second-tier characters likely turned to the person sitting next to them and asked "who the hell is Deathlok?" Fortunately, we're here to help. Deathlok is actually several distinct characters, tangentially linked by time travel and inter-dimensional tomfoolery, plus the usual Marvel comics-level of convolution. What they have in common: each character bearing the name was turned into a killer cyborg against their wills, each rebelled against their creators in some way. While generally heroic, various Deathloks have alternated between hero, antihero, and occasionally, villain. It's a rich history of absolute craziness, just the way Marvel likes it, and it bodes well for the future of the television series. 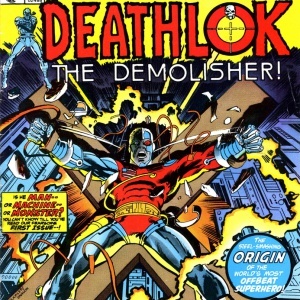 Co-created by artist Rich Buckler and writer Doug Moench, the original Deathlok was intended to reflect the sociopolitical weirdness of the 1970s. "Deathlok was just an extension of a paranoid fantasy. He was a representation of part of my outlook and world view," Buckler said in a 2013 interview. "He was a culmination of many of the messages in some of the music of the time. He was part of some of the things going wrong in our country at the time." Stories featuring this version of Deathlok tend to give off a pervasive distrust of establishment authorities both private and public, as well as a consistently tragic undertone. 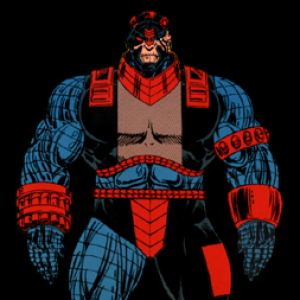 This version of Deathlok was conceived as the anti-Captain America, a super soldier whose experiment went horribly wrong. In 1985, US Army colonel Luther Manning is critically injured in a training exercise and presumed dead. 5 years later, Manning wakes in (what was at the time) the far flung future year of 1990, only to discover that a scientist named Harlan Ryker - later known as Hellinger, just in case the fact that he's evil wasn't clear - has repurposed his remains to build a cybernetic soldier. Code-named Deathlok because he is essentially locked in a death-like state, Manning's brain is nothing more than a CPU for what amounts to the Deathlok computer's operating system. Luther, you see, is from an alternate universe earth (Earth-7484), in which super heroes were banished from the planet in 1983. This paved the way for a global war that, by the time Manning is revived, has turned the world into a post-apocalyptic hellscape. Luther, now Deathlok, isn't even in control of his body; instead, when he regains consciousness he's forced to observe his body committing terrible acts of terror in service to Ryker's schemes. However, through sheer willpower, Manning eventually manages to gain some control over the Deathlok computer and rebels. From that point on, his thing is, generally speaking, fighting against evil corporations and corrupt governments in equal measure. After Astonishing Tales ended, Deathlok was absorbed into the mainstream Marvel universe. Highlights include teaming up with a time-traveling Spider-Man, having his brain implanted in a clone of his original body, and ending up in the 'normal' Marvel universe (Earth-616, for those keeping track) where he alternates between crazy space/time adventures and occasionally having his computer hijacked by villains who force him, yet again, to commit horrible deeds. Created by Dwayne McDuffie, Gregory Wright and Jackson Guice, the second Deathlok existed largely as a way to explain the transition between the original version of the character and the new version featured in an ongoing series that debuted several months earlier. Colonel John Kelly, a Vietnam veteran who had recently lost his job as a police officer, volunteered for a CIA program called "Deathlok", which as it turns out was based on technology reverse-engineered from a study of Luther Manning's body. Kelly's body and brain were used to house an onboard computer similar to the original Deathlok, but he was allowed to retain consciousness and, so he was led to believe, a measure of autonomy. Unfortunately, the Deathlok program was overseen by the Earth 616 version of Harlan Ryker. Evil ensued. 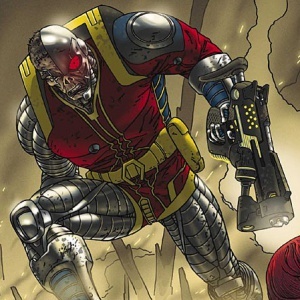 On his first mission, Kelly resisted mission objectives he considered too brutal, which caused the Deathlok computer to determine he was malfunctioning. The computer overrode Kelly's brain - literally frying it - killing him in the process. However, the data that comprised Kelly's consciousness remained stored in the Deathlok computer, and Kelly was later restored to life when said data was discovered by the next Deathlok, Michael Collins. Eventually, Kelly's brain would be uploaded into a new body and he would become the "heroic" mercenary called Siege. Later on, he would die during Marvel Zombies because why not. Also created by McDuffie, Wright, and Guice, this version of Deathlok in many ways represents a vastly more optimistic outlook than the previous two. Professor Michael Collins, a computer programmer for the Roxxon corporation, is introduced working on a project he believes is intended to create cybernetic prosthetics for disabled people. A pacifist influenced by the writings of Dr. Martin Luther King, he is disturbed to learn that in fact, he is working on the Deathlok program, and he reports the troubling discovery to his boss. Sadly, Collin's boss is Harlan Ryker (don't worry, this is the Earth 616 version, in case things aren't confusing enough), so we know where this is headed. Ryker betrays Collins, killing him, and puts his brain inside the body of the new Deathlok (previously occupied by the brain of John Kelly). Like Luther Manning, Collins is at first unable to control his new body, but thanks to his expertise in computer science, Collins is soon able to reprogram it to follow his commands, and seeks to put a stop to Ryker's schemes, at one point joining forces with S.H.I.E.L.D. to stop Ryker from launching a nuclear attack on the United States. Collin's pacifism allows Wright, Guice and McDuffie to explore some interesting philosophical concepts. Rather than a trained soldier, Collins is a regular person with strong convictions beyond simply freeing himself from his new body. A pacifist, he is constantly seeking to reconcile his newly weaponized body with a commitment to avoiding violence as much as possible. He is also forced to interact with the Deathlok computer as a distinct character, leading to some interesting back and forth, particularly as Collins has to craft his instructions very clearly in order to ensure the machine doesn't violate his personal beliefs. There are other versions too, including an army of ravenous zombie Deathloks, a version called "Deathlok Prime" from a dystopian future, and even a teenage girl version called "Death Locket". However, Manning, Kelly and Collins remain the versions most linked to the main Marvel Universe cosmology. 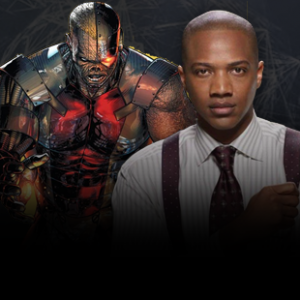 How Deathlok Might Bring Harlan Ryker To Agents of S.H.I.E.L.D. While Dethlok has been exploited by Marvel in dozens of ways, it has never managed to catch-on the way contemporaneous characters, like The Punisher, did. While that's frustrating on some levels, it's good for Agents of S.H.I.E.L.D., which isn't going to be bound by any particularly beloved canonical take in adapting the character. Being an everyman type (prior to his Extremis serum-enhancements, anyway), we can probably rule out any connection to an alternate universe version of Earth. Mike Peterson is much closer in spirit to the Michael Collins version of the character anyway. A dedicated father of working class origins, he's neither a trained warrior nor a hardened killer. Currently, Deathlok is being controlled by the same instant death suicide switch used to control S.H.I.E.L.D. agent Akela Amadour in episode 4. However, given the character's comic book history, it's inevitable he will end up rebelling and rejoining S.H.I.E.L.D. at some point. The bigger question is who is "the Clairvoyant," the shadowy mastermind behind the events of AOS so far. 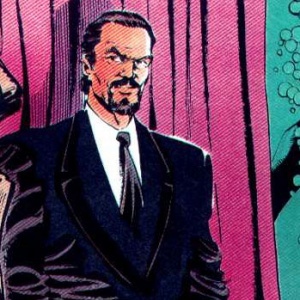 Given that Peterson is now revealed as Deathlok, expect the Clairvoyant to turn out to be Harlan Ryker. In the main Marvel universe (Earth 616), Ryker was a respected surgeon and cybernetics expert with questionable ethics who, as we've seen, repeatedly creates unwilling Deathlok cyborgs from dead humans. Eventually, rebels from an alternate future send a Deathlok-based cyborg back in time to kill him, (oh, Marvel. Never change,) but only end up killing his wife and daughter. Using his Deathlok technology, he manages to keep his daughter alive. Eventually, his operation is disrupted by S.H.I.E.L.D. and his daughter is taken into the agency's custody. With Captain America: The Winter Soldier teasing a serious moral/ethical problem with S.H.I.E.L.D. and fan speculation that this will end up tying into AoS in some way, I can't imagine they won't retain at least some of Ryker's background. At minimum, I expect it will play into why the Clairvoyant forbade Michael/Deathlok from attacking S.H.I.E.L.D. agents near the end of the most recent episode. But enough speculation. Instead, let's bask in the glow of Marvel Comics' insanely convoluted mythology, and hope the headaches go away before Agents of S.H.I.E.L.D. resumes.